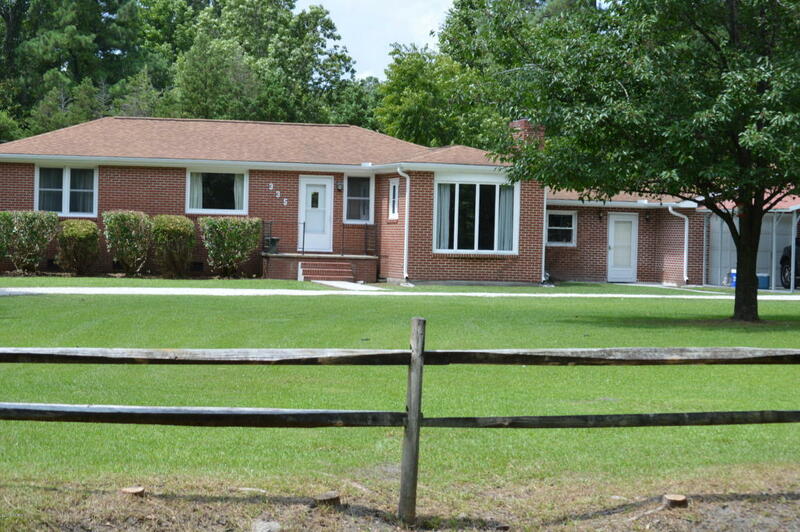 Hidden Treasure with 3 Bdrm & 2 Baths on .97 Acre. Apx one mile to Sandy Beach and good fishing. Short drive to new Bern & MCAS Cherry Point. Ceiling Fans in all Bedrooms and Gas Log Fireplace in large Family room with floor to ceiling Book case. Fenced dog run in back yard. Large garage and carport. All new laminate Floors . Kitchen has gas stove. Home shows well. Easy to show.